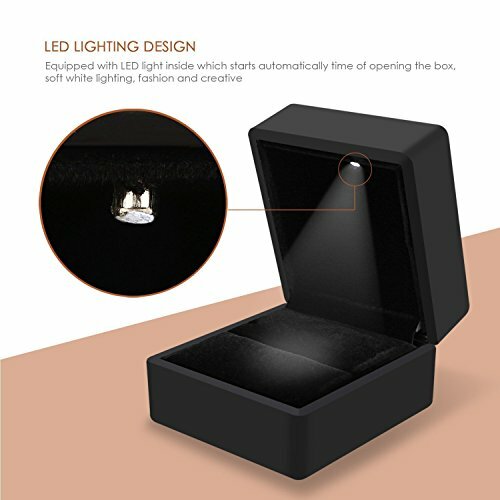 A gorgeous and attractive jewelry ring box, this amazing and breath-taking product will display your pieces of jewelry and also keep them safe with great style and class! The item has been manufactured out of superior plastic material that is durable and will protect its contents. 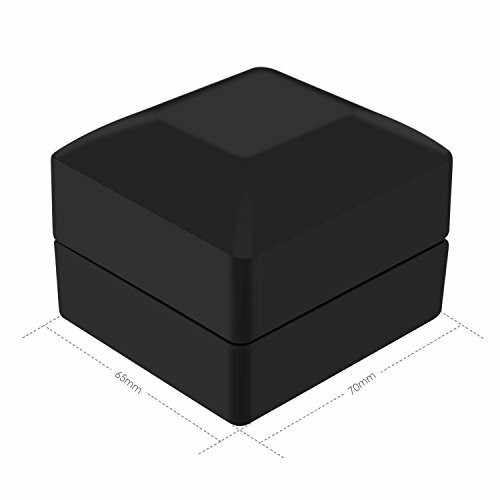 It is also covered in a matte black rubber paint while the inside is beautifully cushioned with soft and fine velvet that is meant to keep your jewelry from getting scratched, dented or damaged in any other way. It has also got an insert that will keep your jewelry in one place. The jewelry box is meant for the display of small sized items of jewelry such as rings, pairs of earrings, ear studs and other similar pieces. 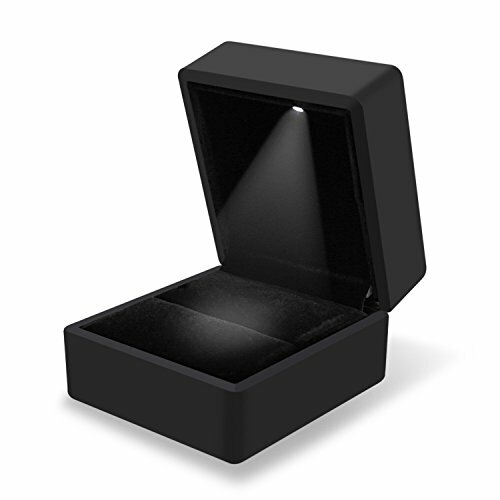 In addition to all of that, the box is also equipped with a LED light that will always keep your precious jewelry under the spotlight, thus making it ideal for displaying jewelry in professional jewelry stores as well! This beautiful jewelry display case is the perfect way of both keeping your jewelry well organized and display in an enticing and appealing manner; it features an astonishing look and a smart design. 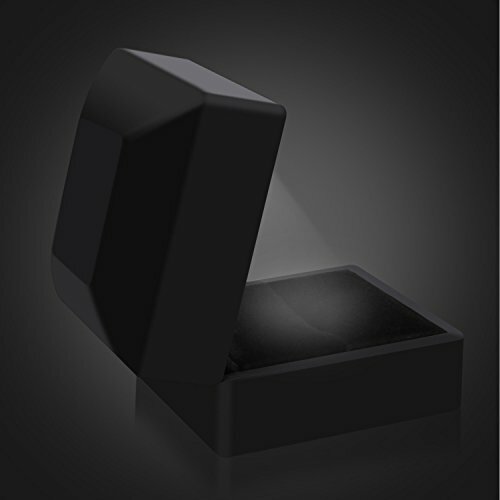 Purchase this stylish and fashionable jewelry ring box and you will definitely see it is entirely worth it! The measurements of this item are the following: outside dimension (approx. ): 6.5 x 6 x 5 cm (L x W x H), inside dimension (approx. ): 4.8 x 4.7 x 2 cm and its weight is 3.2 ounces.